Do you remember when you were in high school and the popular kids seemed to have those award winning perfect smiles? I’m sure you were secretly envying them from afar and wondering what great evil you bestowed on yourself to be given such crooked, cavity over run teeth? I know it seemed like every time you went to the dentist, cavities needed to be filled. Then finally your told braces are needed. Your thinking “just great”! “Metal needs to be put in my mouth to corral my teeth from escaping”? The big question is, are bad teeth hereditary? The truth is, only part of the blame can be put on your mom and dad. 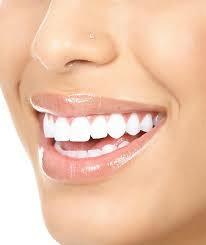 Perfect teeth are not just products of genetics but do play a part in the grand design. As for the genetic components listed, the absence of teeth is rare. More commonly seen are position of teeth issues, surface crevices or saliva. The good news is these conditions can be effectively treated with modern dental treatments. So how do you maintain a healthy beautiful smile?